So download the files, grab the required materials, and embark on your DIY journey now! Download the files and follow the instructions to make the anti-glare shield. Attach the completed anti-glare shield to V4K’s camera head to reduce reflection. Note: The above template and instruction sheet are for A3 or legal sized paper. Click here for A4 sized or letter sized template, and their instruction sheet. 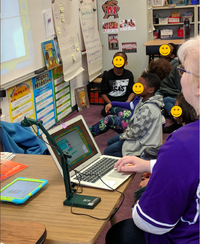 How teacher Halasowski Christy use V4K Ultra High Definition USB Document Camera in the classroom. 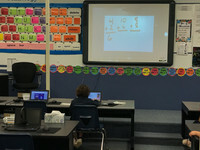 How teacher Goodwin Wendy use V4K Ultra High Definition USB Document Camera in the classroom. 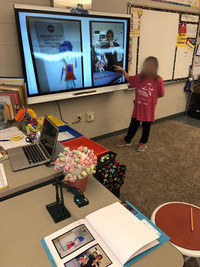 How teacher John-Gabriel Kristina use V4K Ultra High Definition USB Document Camera in the classroom.